Don’t Let Your Turkey Be Lonely…. 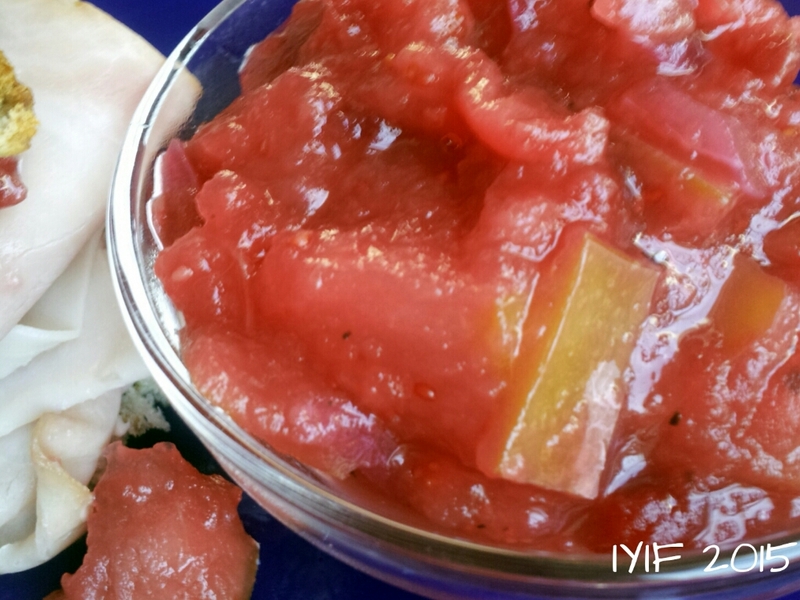 I’ve always loved cranberry jelly, wasn’t really a cranberry sauce person as a kid. As I got a little order I decided that whole cranberries were ok, they actually gave it a little bit of texture. 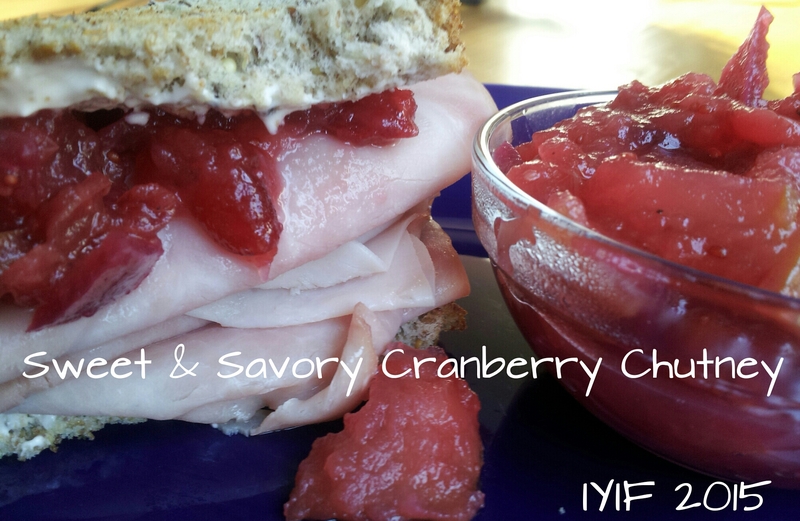 Then I discovered cranberry chutney and how amazing it tasted on a turkey sandwich. Wait, amazing isn’t even the right word. Drool worthy? Mouthwatering? It is the kind of taste that makes you close your eyes and pause for a minute because you don’t want the moment to pass too quickly. The ingredient list is short, simple, and pure. 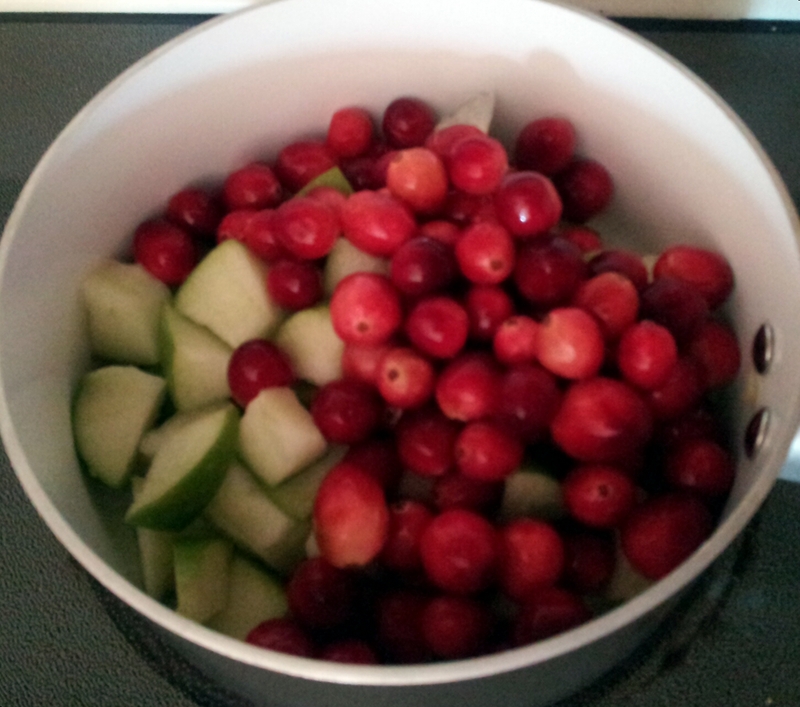 I used a granny smith apple, fresh cranberries, red onion, red wine vinegar, Truvia, and fresh squeezed orange juice. The orange juice was kind of an afterthought, but my son had peeled an orange and decided he didn’t want it because it wasn’t quite as juicy as when I bought them last week so I just decided to squeeze from fresh orange juice in and it gave it a beautiful pop of citrus flavor that really added to the overall yum factor. With a dash of pepper and ½ a cup of water it only took about 20 minutes to simmer these fresh ingredients down to a perfect chutney. 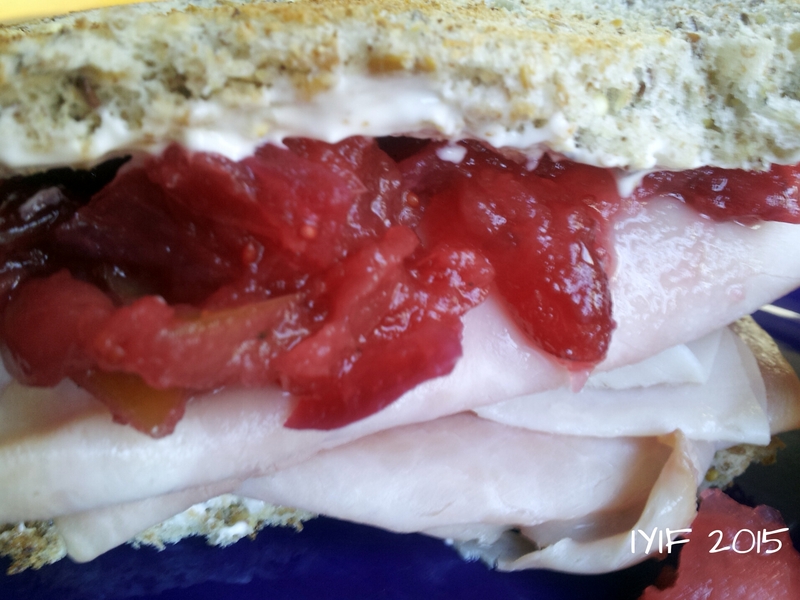 Of course the final taste test had to be on a turkey sandwich that I made on toasted whole grain flax bread… I can’t even tell you! All I can say, is if you are a sweet and savory fan, you have to try this! 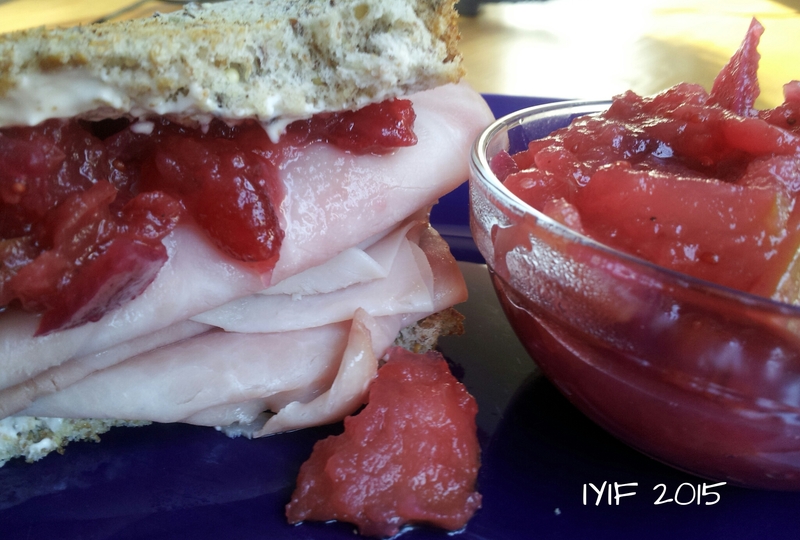 At only 17 calories for 2 Tablespoons no one will turn this down on a sandwich, or in the middle of a cracker and cheese tray at a holiday party. It is just amazing.. enjoy!